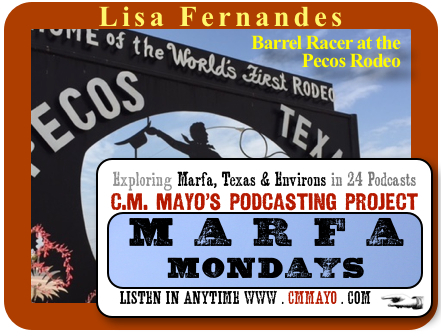 An interview with barrel racer Lisa Fernandes at the historic West of the Pecos Rodeo in Pecos, Texas. Recorded in June 2015. "Everybody wants to win Pecos. I mean, anybody who's ever rodeoed in the world wants to win the Pecos Rodeo...You can ask anybody who knows anything about rodeo in the world, and they will tell you that Pecos, Texas is special."